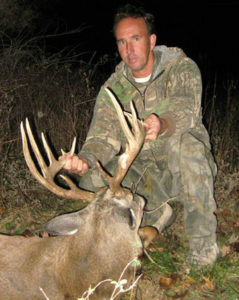 Missouri muzzleloader deer hunting is after their regular firearms season and overlapping archery. Missouri tag is for online purchase to all. For the Association Missouri lease land this is a highly underutilized season averaging few hunters. Without whitetail unit management restrictions and over the counter tags all pre season scouting will payoff later during the hunt. 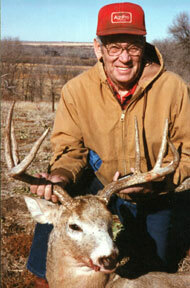 Or, the deer hunter can wait to the last minute to plan a Missouri muzzleloader deer hunt. Under our system if allocated a membership that deer hunter will never be denied the opportunity to deer hunt down to one day’s notice. During December with tree branches bare the deer are sensitive to movement and unnatural noises. Especially after surviving the previous popular regular firearms season. To find that one trophy deer for a wall mount will mean a bit more walking during mid day. Aiding that stalking deer hunt is the weather this time of year in Missouri varies from 20 or less to 40 degrees on the best day. Snow and rain are common making a warm up walk an anticipated daily event. 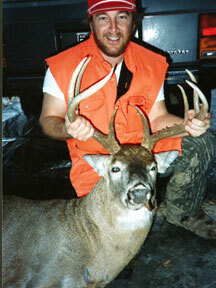 Missouri muzzleloader deer hunting during this period the deer tend to move little. They settle down into the heavier cover and timber. Especially in secluded areas where access is difficult by mud roads. For the avid muzzleloader stand hunter, sitting stand all day in thick cover can be productive. That is after figuring out where the bucks are by stalking about. For those that don’t enjoy sitting long periods of time, working the edges of crop fields next to heavy cover or timber early morning or late evening can pay off, but wind direction is critical. If stalking is your style, just imagine how many ditches, crp fields and small patches of woods are available for hunters to prowl on. More than most have hunt in them to cover. Depending on the weather conditions, the rut is usually at the tail end of its cycle during Missouri’s muzzleloader. 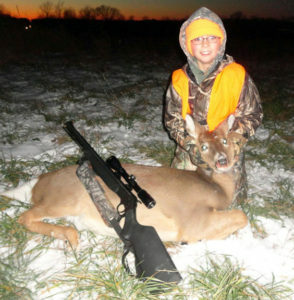 Rattling and grunt calls can still be very effective since many of the young doe will be in season. 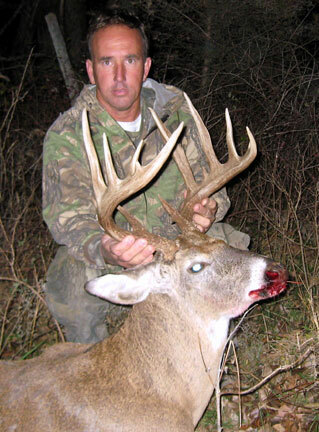 Compared to a deer hunting guide services, a private deer lease or the hunter owning his own hunting land, MAHA self guided deer hunting has a tremendous flexibility being able to hunt 3 states for all deer seasons at will. 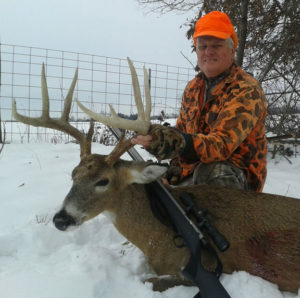 If a deer tag is filled in Kansas a drive of 1 to 2 hours to Missouri for a muzzleloader deer hunt is one more option to consider. If muzzleloader deer hunting for 3 or 4 days and don’t find a buck of choice, all can reserve another deer lease in the same area or relocate to another region in Missouri where the weather or habitat is more desirable.